Chicory (learn more about us at www.chicoryapp.com) has finally launched!! Well, only in 2 zip codes but that still counts! This means that we're out of the lab and into the consumers' hands (which is awesome because the lab was getting kind of boring). Although we've only been live for about a week we've already met with dozens of busy home cooks to talk about all sorts of things, from if they've ever used online grocery to what their kids like to eat for dinner. They've also all tried out the current iteration of our web app. Here are some of the most interesting things we've learned about online grocery and recipes from our fabulous early customers in Larchmont and Mamaroneck, New York. 1) The reasons that make people want to cook heavily determine how likely they are to use our app and online grocery. because it's less expensive than eating out and someone who cooks because they enjoy creating and trying exciting dishes. We now ask the question in our "what type of grocery shopper are you?" survey. Answer these 6 questions to help build Chicory. It takes less than a minute. 2) People freakin' love recipes. 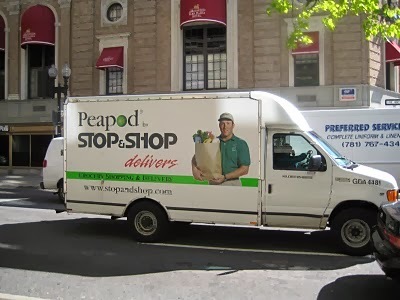 While we had always thought that connecting online grocers like Peapod and Fresh Direct with recipes was a cool idea, we regularly second guessed ourselves, asking "is this really the way that people cook?" Well, it is. There are lots of people who don't use recipes at all or only use them for inspiration now and again but over the last week we've encountered plenty of savvy home cooks who regularly turn to the internet or their favorite cookbook to make healthy, homemade food for their families. Almost all the people that we've talked with have said that they frequently use recipes to cook . One of our earliest users told us that at the beginning of every week she sits down with her daughter to browse the internet for recipes they want to make for the week. Basically what Chicory does - except that we don't make you spend an hour in the grocery store afterwards. Another customer told us that her New Year's resolution for the past three years has been to use online grocery and that with a grocery shopping tool like Chicory she could finally make the switch. She was so excited that she sent us a picture of one of the recipes she ordered. On the right are Carol's 'Indian Chicken Kebabs' (recipe from our amazing food blog partner Savory Salty Sweet). Overall, we're extremely excited that Chicory is finally in the hands of customers. We're getting a lot of feedback and making changes quickly. We also have some major features that will be coming out soon. Tired of answering "what's for dinner" every night? Get your favorite recipes delivered!